We all love our multi tools – they are one of the most versatile clutch performers in your toolbox. The key thing to remember is to use the right blade for the job at hand. It’s often tempting to just use whatever oscillating blade you left in the bag, but it goes without saying that you should always use the right tool for the job, even a quick one. Here are the top three oscillating blades to use for wood cutting at home or on the job site. A coarse cutting blade is perfect for cutting any soft material (wood, plaster, drywall, etc.). 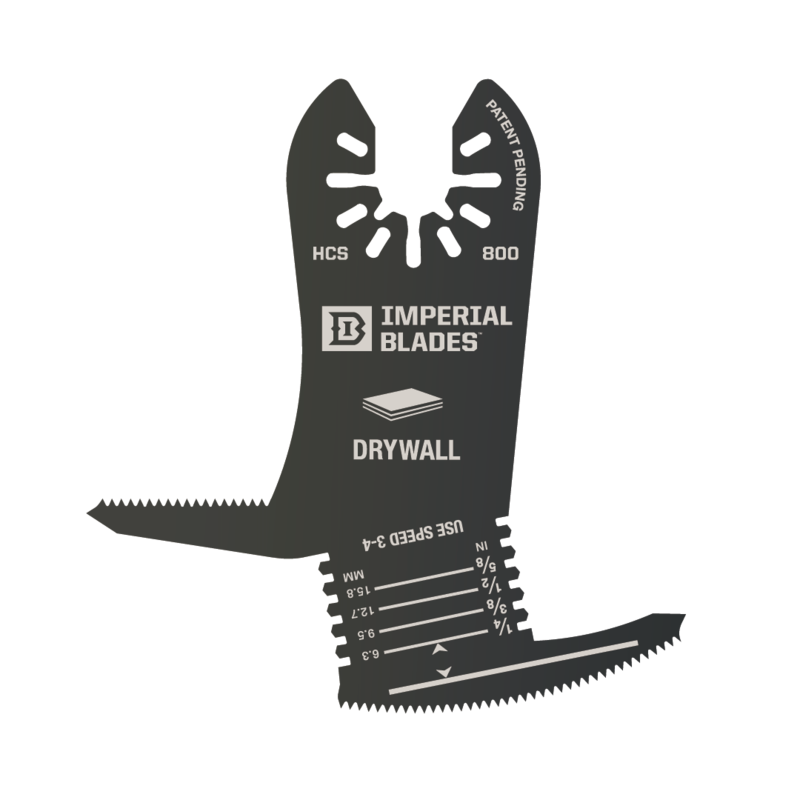 The Imperial Blades IBOA200 oscillating multi tool blades feature Universal OneFit® and titanium coating to deliver maximum performance and usability. These American-made oscillating blades make it easy to do flush cuts under doors or wherever you need a reliable wood-cutting oscillating blade. Finish carpentry is a precise discipline, and the work demands the accuracy of a fine tooth saw blade. Using extremely sharp teeth with a J-tooth design, these Japanese-style oscillating blades make the smoothest and most accurate cuts of any oscillating multi tool blade on the market. With modern technology like high-carbon steel and OneFit® to ensure a proper fit on every tool, the IBOA270 oscillating tool blades are the perfect mix of old and new ideas. There’s nothing worse than breaking your favorite wood-cutting blade on a pesky nail. It’s a dangerous and frustrating situation that you can easily avoid with the trusty IBOAT336 Wood Cutting Blade with Nail-Cutting Action! These long-lasting blades will easily defeat embedded nails and stripping up to 5/32 inch material. Whether you are renovating at home or working on the job, the IBOAT336 is an indispensable addition to your oscillating multi tool blade kit. Save money on these blades and more with the coupon code IBEDIRECT at the checkout.